The Luxury Babboe Baby Seat is the ideal way to take your littlest one along with you in the cargo bike. 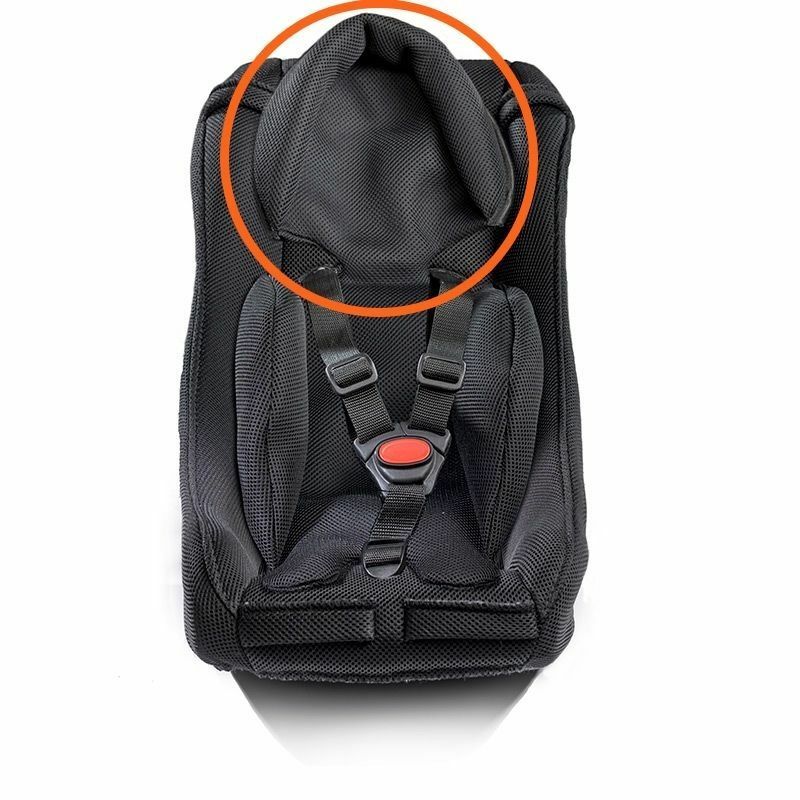 A baby seat head support and body support are available separately. It is possible to place two baby seats next to each other. Note: it is not possible to combine the baby seat with a Maxi-Cosi carrier or the City’s second bench. The Luxury Baby Seat is made of water repellent and breathable material, making it easy to keep the baby seat dry. In addition, the Luxury Baby Seat also features extra foam under the cover and raised edges on the sides, so that your baby can safely and comfortably lie in the baby seat. Installing a baby seat in the Babboe cargo bike is easy. An installation manual and hardware are included with the seat. Please refer to the manuals page to view the instruction manual for the baby seat. It is possibility to install two baby seats next to each other in the box. For your information: The baby seat cannot be used in combination with the Maxi-Cosi carrier and the City’s second bench. Moreover, when using it in combination with a rain tent in the Babboe City, the rain tent’s zip at the handlebar side needs to be opened a bit.